Both 2 year olds. What do yall think of them? They appear to be small. I really like the hind leg on the #6 heifer. Hard for me to judge. My heifers are nursing a calf at 2 years old. Agree with Jeanne. What breed & how much do they weigh? My almost yearlings look about the same size. I think the proportion may be off in the pics, the forelegs and heads don't necessarily look small, but I like the first one best. 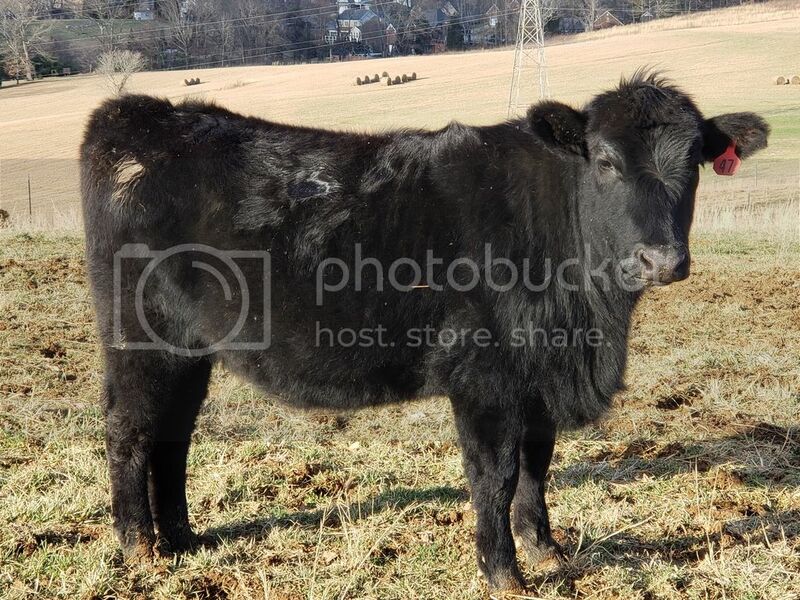 Daddy is registered angus. #47 momma is limousine. 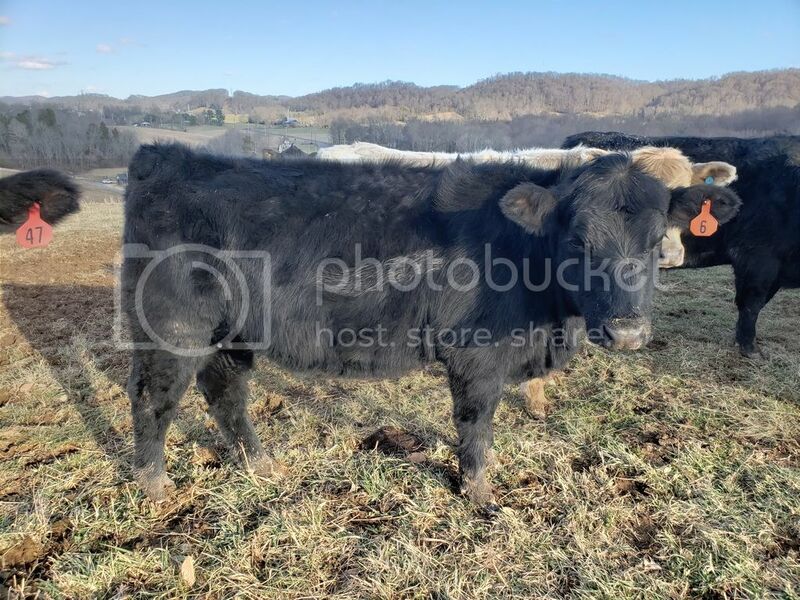 #6 momma is a Salers Angus. They weigh about 950+. Pics do make them look a little smaller than they actually are. Are they actually 2 years old? Are they bred? At two they better be producing or any day. You have better than 1800 dollars in inputs without a penny return. You have upkept the dam at a buck fifty a day for two years without a penny paid back. You have 525 days of inputs in the heifers since weaning. At today’s prices that is mighty expensive F-1’s. 2 years old next month. Yes they are breed. Due 1st of April. That's good. They will be calving around 26 months old. They look like they could make some decent females. Hopefully no problems calving and they breed back. From the pictures I’d take #6 over #47. Better top looks a bit stouter and more correct rear leg.